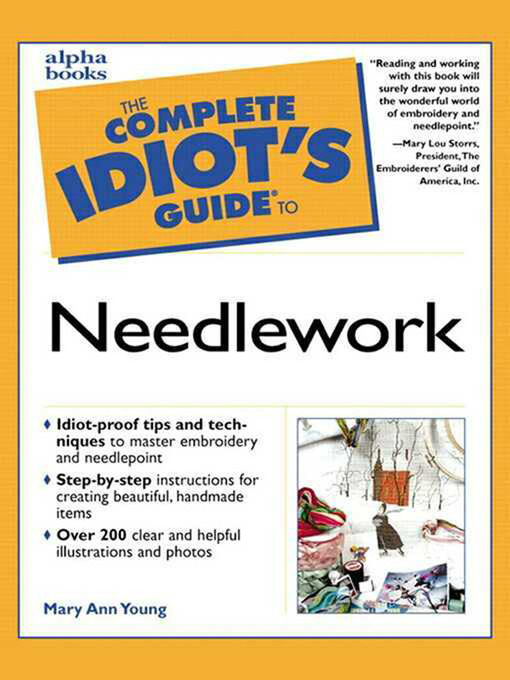 This guide is for anyone who is interested in learning or re-learning the art of embroidery or needlepoint. Containing a history of needlecrafts, as well as an updated look at its uses for your home and wardrobe, it explains how to deal with such concepts as color, balance, scale, and texture, and how to incorporate your own personal syle. Everything you need to know about the art of embroidery, including needle and thread types, materials, stitch types, frames, techniques, enlarging or reducing designs, monogramming, and project ideas, is in this book.